Thomas Mercer, the legendary British horology company founded in 1858 was an undisputed leader in marine chronometers, with a reputation built on innovation, craftsmanship and accuracy. 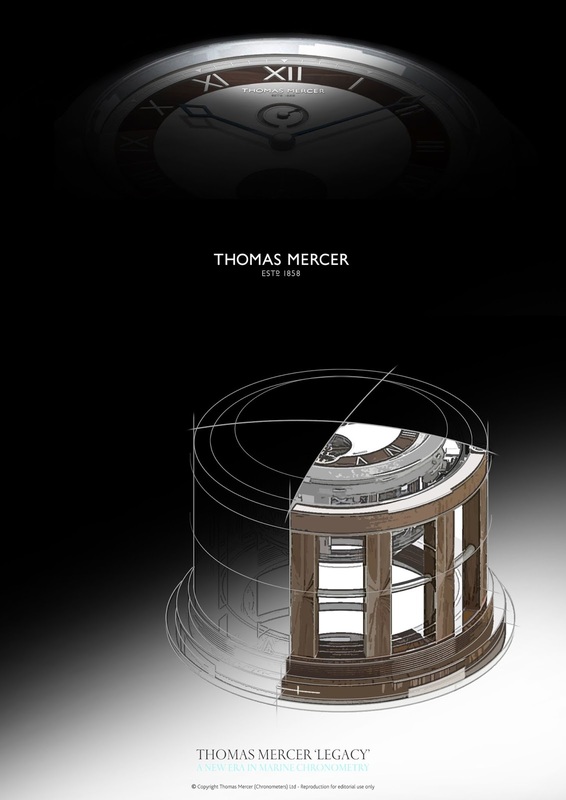 In 2012, Thomas Mercer brand was re-launched with a new generation of Marine chronometers where Design, Innovation, Engineering Excellence, 30+ years of management team expertise and a fifth generation of the Mercer family on the board are the key to the future success of this brand and its exceptional timepieces. After the successful launch of Thomas Mercer Classis by Andrew Winch Designs in 2012, the brand now announces the launch their new masterpiece creation, the Legacy chronometer. The new-born masterpiece will be presented to the world at its exclusive premiere, in the perfect setting of the Monaco Yacht Show September 25th – 28th with first deliveries to clients as soon as November 2013. The Legacy chronometer lovingly blends the most sophisticated and modern design with the attributes of British legacy and affinity with the sea – attributes that have set apart the name of Thomas Mercer from all others since 1858. As well as embodying Mercerʹs renowned visually intellectual and interpretative prerogatives, this progressive and imaginative new timekeeper will feature the highest aesthetic values and display the most refined sense of beauty and quality. Legacy draws inspiration from the spirit of adventure that is indelibly mapped into the DNA of the brand: “More Thomas Mercers have been used to navigate the seas than any other name of chronometer” adds Quintavalle “and 2013 is simply the perfect time for bringing the Legacy to life, as this same year saw the successful recreation of Shackletonʹs voyage, universally considered the greatest small-boat journey of all time”. Nearly a century after Shackletonʹs expedition, a team of six, led by Australian environmental scientist Tim Jarvis, set sail from Elephant Island to navigate 800 nautical miles of the treacherous Southern Ocean to South Georgia using traditional supply, equipment and technology including a Thomas Mercer vintage chronometer on which they safely relied for determining longitude. Like every Thomas Mercer, the new chronometer embraces the best of British luxury values, painstaking design and craftsmanship, an incomparable style and a real appreciation for the finest things in life. Great excitement surrounds the anticipation of this cutting edge timekeeper that will enhance the brand’s future and be as individual as its Owners.